NIU faculty and students are invited to contribute to a special issue of “Entropy,” an international interdisciplinary open access journal. 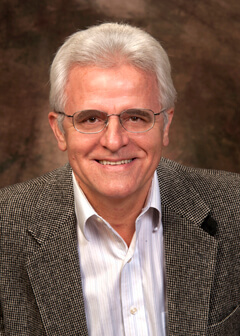 The special issue, “Nature of Heat and Entropy: Fundamentals and Applications for Diverse and Sustainable Future,” will be edited by Milivoje M. Kostic, professor emeritus in the NIU Department of Mechanical Engineering. Kostic is editor-in-chief of Entropy’s thermodynamics section. Last year, the journal sponsored a presentation Kostic gave at NIU on the future of energy and the environmental landscape. In the lecture, Kostic said the fundamental laws of thermodynamics, along with comprehensive analysis and optimization, could unlock a bright future for energy. Advances in energy conversion and technologies, including computerized control and management, contribute to increased energy efficiency and safety and to decreased environmental pollution. All NIU authors are invited to contribute to the special edition. Several publication awards will be available. For information on how to submit, contact Kostic at kostic@niu.edu or www.kostic.niu.edu. Kostic was born and raised in Serbia and completed his degree in mechanical engineering at the University of Belgrade with the highest grade point average in the program’s history at the time. He worked as a researcher in thermal engineering and combustion at the Vinca Institute of Nuclear Sciences and taught at the University of Belgrade before coming to the USA. As a Fulbright grantee, Kostic received his Ph.D. degree in mechanical engineering from the University of Illinois at Chicago and worked at NIU for 26 years before retiring in 2014 to focus on fundamental research. He was appointed a NASA faculty fellow and a faculty researcher at Fermi and Argonne National Laboratories. Kostic’s teaching, research and scholarly interests have been in fundamental laws of nature, thermodynamics and heat transfer fundamentals, the second law of thermodynamics and entropy, energy efficiency, conservation and sustainability, fluids-thermal-energy components and systems, and nanotechnology and nanofluids. He has authored a number of patents and professional publications, has a number of awards and recognitions, and has presented a number of invited keynote plenary lectures and seminars at international conferences and different institutions.